These materials pertaining to Homer Martin Limbird's service in Company L, 20th Kansas Volunteer Infantry, during the Philippine American War (1899-1902). 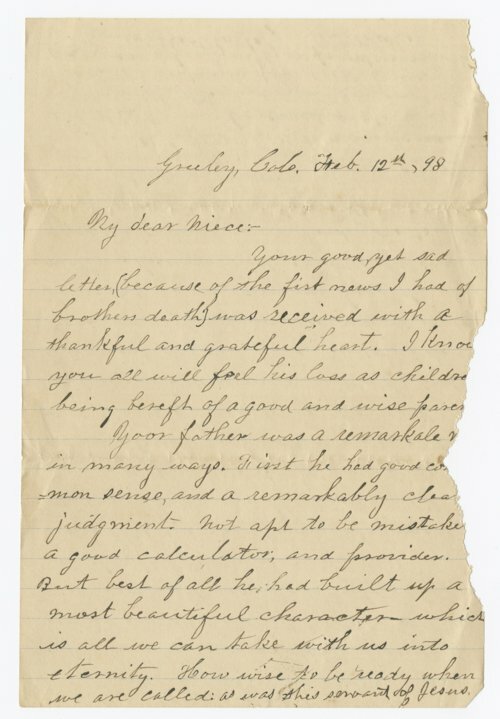 The bulk of the collection consists of letters written by Limbird to family members in Gardner, Kansas, between June 1898 and October 1899. He describes his experiences in camp in San Francisco and in engagements with insurgents in the Philippines. Two diaries also cover Limbird's experiences in the Philippines in 1899. In addition, the collection contains newspaper articles concurrent with the conflict and later articles pertaining to Limbird's service. Researchers are advised that some of the language in these materials may be considered offensive.